Trading accounts offered by InstaForex are multifunctional tools necessary for trading on international financial markets. Choosing any type of account, you will get access to all trading tools offered by the company. InstaForex has created two types of trading account to meet demands of all its clients and provide them with all necessary tools for profitable trading. Each account type has different commissions and methods of spread calculation. Opening the Insta.Standard account a trader gets access to the forex market on standard conditions. 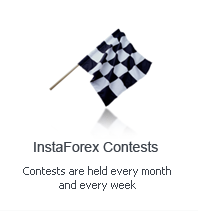 This account type is commission free, however, traders should pay fixed spreads. The account holders have access to all trading instruments available on the market. Both newbies and professional traders can use the Insta.Standard accounts. The main advantage of this account type is that traders have an opportunity to change leverage at any moment and use the most suitable deposit size. Besides, this type of account allows trading Micro Forex (minimum deposit from $1 to $10), Mini Forex (minimum deposit from $100), and Standard Forex (minimum deposit from $1,000). The main peculiarity of this account type is absence of spreads. Zero spreads are available for most trading instruments that is why the BID price always equals the ASK price. It should be noted that the offered price runs higher than the BID price by half of the standard spread for a given trading instrument. It is rounded up to its integral value due to some technical peculiarities of the MetaTrader 4.00 platform. Mostly, this type of trading account suits beginning traders. There is no need to take into account spreads in case of using pending orders. Thus, with zero spreads, a pending order is executed just when a price reaches its value. Before placing GTC orders and entering the market, traders do not have to analyze spreads´ influence on the final results. This allows market participants to conduct more effective technical analysis. Although, this account type was targeted at helping the beginning traders learn the market peculiarities, it can also be used by professionals. All commands can be easily performed thanks to the user-friendly system. It is noteworthy that the Insta.Eurica accounts have all characteristics of the Insta.Standard account. Such types of trading accounts as Cent.Standard and Cent.Eurica are mostly preferred by newcomers gaining experience in trading on Forex. Opening these accounts, newbies receive access to the smallest possible deal size. Besides, traders can benefit from Micro Forex with the size of 0.0001 lots (one point stands for 0.1 US cents) that excludes deposit risks. On the other hand, this account type will suit those traders who want to try out their trading strategies using the advantage to open deals with the deal size of 0.0001 lots. Holders of the Cent.Standard and Cent.Eurica accounts have the same conditions as clients trading on the Insta.Standard and Insta.Eurica accounts. Moreover, they have access to the smallest possible deal size of 0.0001 lots. The only limitation of the cent accounts concerns a deposit amount as these accounts were created for beginning traders. Experienced traders are recommended to open the Insta.Standard and Insta.Eurica accounts with no deposit and deal size limitation. The size limitation of the minimal trade equals 1 lot ($1 a pip) for accounts of the Standard and Eurica types with balance over $100,000.00 (one hundred thousand US dollars) or its equivalent in other currencies. However, in some cases, by decision of the company, the minimum trade size of 0.1 lots (~ $0.10 a pip) is available for accounts with balance over $5,000.00 (five thousand US dollars) or its equivalents in other currencies.